In the years since we first launched Tork EasyCube®, we have been tracking the results experienced by our early-adopting customers. 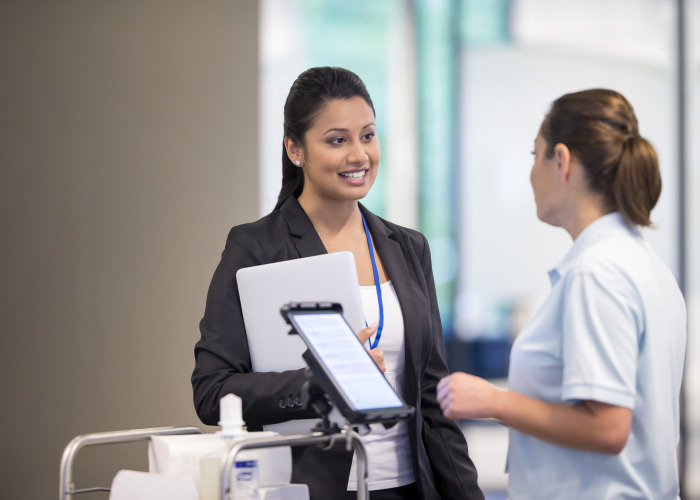 We have also conducted third party research to understand and measure the impact of Tork EasyCube® on individual facilities (see links below). We designed this impact calculator to give prospective customers an approximate sense of what Tork EasyCube® can do for their own facility. The metrics we have included, and the values used in the calculations, are derived from these numerous case studies—which were developed in partnership with our customers—combined with general market research. These values represent modest estimations. 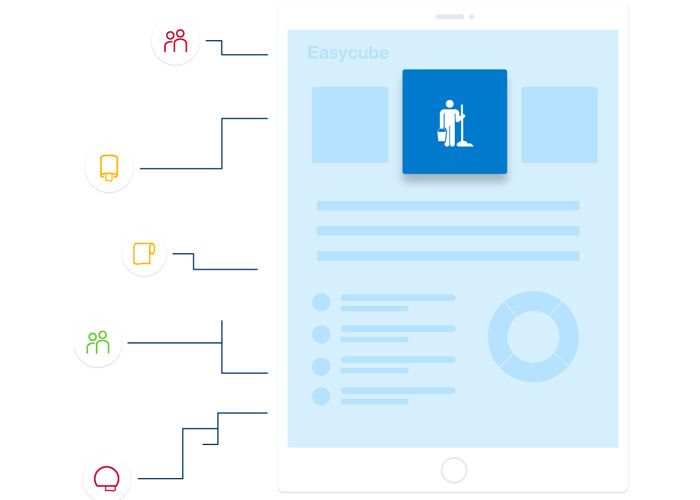 Tork EasyCube® helps cleaners and facility managers to make information-based decisions, enabling them to prioritize properly and cut out unnecessary activities. The time saved when moving from a static to a needs-based cleaning schedule means more time can be devoted to other activities, such as cleaning surfaces and floors. An increase in overall cleanliness -- in combination with constantly supplied dispensers -- improves a customer’s experience of the facility. Facilities that have implemented Tork EasyCube® have experienced a significant decrease in customer complaints and have proven dispenser availability at or close to 100%. In the case of one facility, a 30% higher customer satisfaction rate was documented. It can be difficult to assign concrete numbers to a concept like motivation. Nevertheless, we saw it as an imperative to mention in the results of the calculation, as it is a real and proven benefit of Tork EasyCube®. Мы будем рады отправлять Вам особенные предложения и новости о продукции и решениях Tork. Указывая e-mail, Вы соглашаетесь получать от нас информационные письма. Внимательно изучите наши правила пользования и политику конфиденциальности, где будет дано полное описание, как мы защищаем и храним Ваши данные. Да, пожалуйста. Я хотел(а) бы узнавать о новых предложениях, продуктах и решениях Tork и Essity. How can data-driven cleaning help you stay ahead of the game? Data-driven cleaning is the latest evolution in professional cleaning. Want to learn more about how it’s impacting the industry and how it can benefit your business? Read our insider’s guide to data-driven cleaning. Tork EasyCube™ is a facility management software that brings a whole new level of efficiency and effectiveness to cleaning operations. 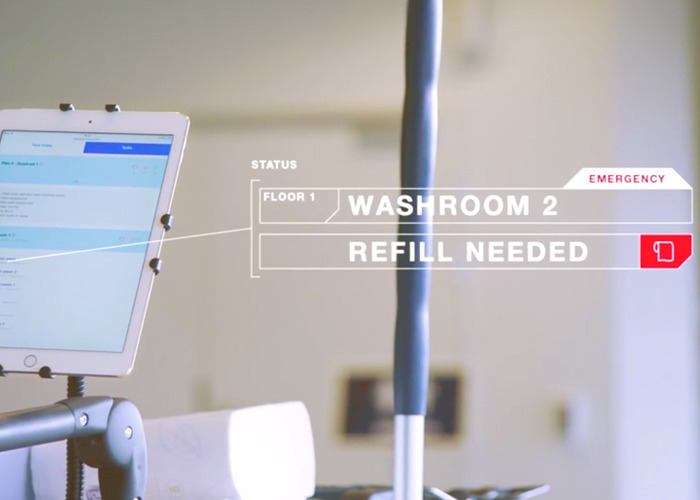 Real-time data from connected devices and dispenser systems is displayed in an easy-to-use web application, directing cleaning teams to where they are needed most. The result is a new logic for cleaning that provides concrete labour savings, greater customer satisfaction and an extraordinary boost to staff motivation. 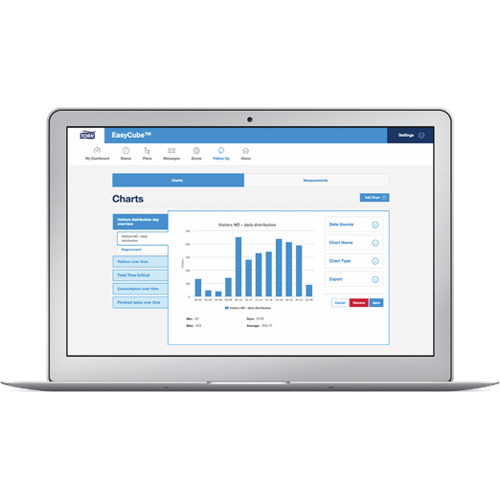 Want to know how Tork EasyCube® and digital intelligence can streamline your facility cleaning? Sign up here for a free consultation tailor made for your business. 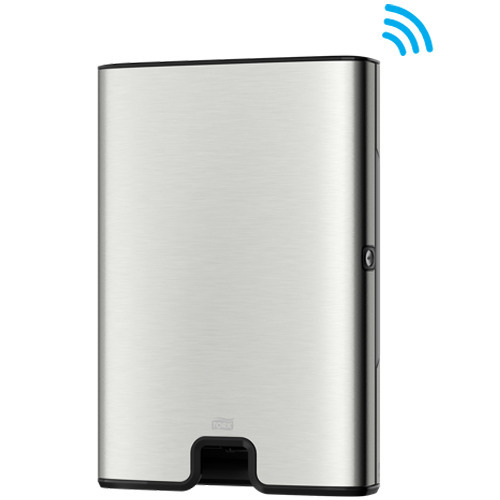 Tork EasyCube™ serves to benefit all types of businesses, and particularly those spread out over large geographical areas with high levels of fluctuating traffic, such as amusement parks and airports. It’s a service especially well-suited to forward-thinking companies interested in a new and better way of working and ready to see how Internet of Things devices can give them a competitive edge. See how Tork EasyCube™ provides a whole new logic to cleaning at ISSA Interclean. Time, money and effort is saved by moving from static cleaning schedules to needs-based, dynamic schedules. Reducing unnecessary costs while improving the customer experience isn’t a paradox, it’s business done right! Tork EasyCube™ provides cleaning personnel with control over the effectiveness of their own work. Knowing exactly where they need to be and why they’re supposed to be there makes their job far more rewarding. 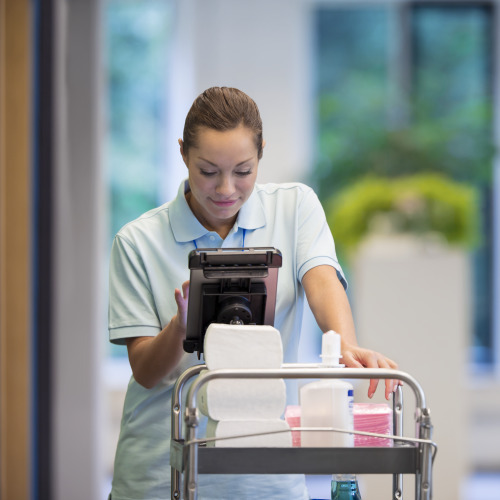 Rather than performing repetitive manual labor, personnel can utilize cleaning statistics generated by Tork EasyCube™ facility management software to make informed contributions to customer satisfaction. The result? Enhanced motivation, satisfaction and staff retention. Some companies have even experienced a reduction in sick leave! Real-time information makes it easy to prevent complaints before they can occur. 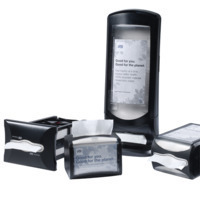 Tork EasyCube™ makes it possible to ensure that each and every customer will be greeted by a consistently clean, well-stocked and fresh-smelling washroom. With the time saved, resources can be directed to even greater cleaning, enhancing the customer experience even further. * 3rd party market research with observation studies and interviews before and after Tork EasyCube™ implementation at facility with 20,000 visitors/week. Data from the Tork EasyCube™ system showing time dispensers are out or almost out of refills, collected March 2016 (after implementation); compared to the same month in 2015 (before implementation).